At Bell Architecture, we believe every family should have an affordable, safe, and well-designed home. And since we love to design homes, we are in a good place to help! 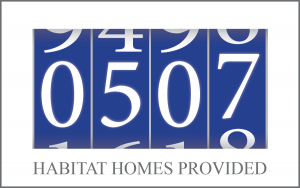 Since 2001 Bell Architecture has partnered with New Orleans Area Habitat for Humanity. For every home or addition we design for our clients, we in turn donate the architectural services necessary for Habitat, their volunteers, and the homeowners-to-be to work together to build a simple, contextual and affordable home.